SLEEK, WOOD-ACCENTED EATERY USING SUSTAINABLE SEAFOOD TO CRAFT CLASSIC ROLLS, CREATIVE ROLLS AND NIGIRI. Every plate achieves that elusive, cuisine-defining balance of taste, beauty and elegance. 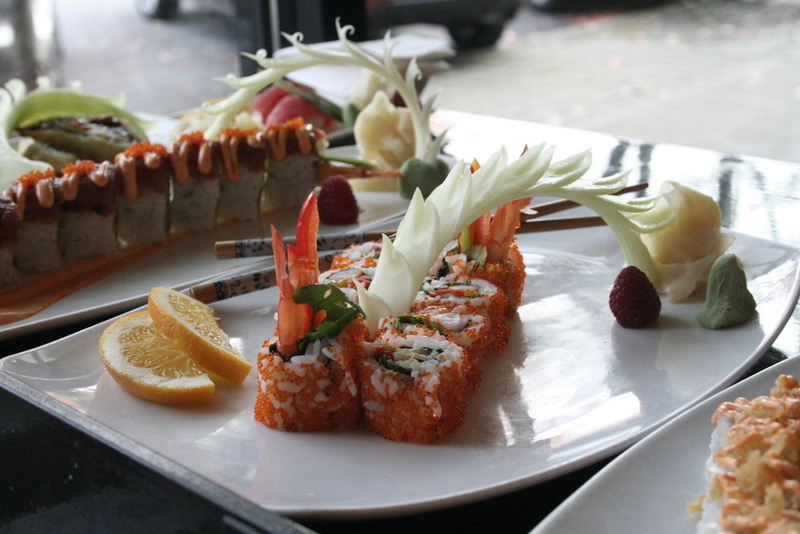 Welcome to Sushi Samurai where we strive each and every day to create a wonderful dining experience for our guests. We take pride in our service and our food, and hope to bring a smile to every individual that comes through our door. We are a family-friendly restaurant. Art is a big part of what we do. Each plate is hand-decorated with love. Bring your friends and family to sit down, relax and have a wonderful time while we take care of everything..
Sushi has its origins in fish preservation techniques. We used to have an abundance of fish, but now there are serious concerns about the fish populations. Now is our chance to make a difference. The main factors in determining sustainability are TRACEABILITY, FISH POPULATIONS, FISHING METHODS and FARMING PRACTICES. IS YOUR FAVORITE SUSHI SUSTAINABLE? We have partnered with Monterey Bay Aquarium in a commitment to maintain healthy fish populations. We want future generations to be able to enjoy the same great sushi that we enjoy today.